Airports are the nodes and pulses of the modern day world or let’s say the highly connected ‘Global Village’. They have enabled the governments and corporate in galvanizing the whole logistic and supply chain networks, thereby building both local as well as national economy. However the flip side is that airports are guzzling resources worth billions of dollars each year, and considering the mammoth size and structures the major challenge facing is -whether they are being effective at the cost of being efficient? Hence, there is a need for sustainability i.e. the ability to sustain, throughout the life cycle of an airport. If we intend to incorporate efficiency in airports, we need to start it right from the beginning.During the planning phase and design development of the airport mega-structures, we need to ensure that the mandatory building compliance and standards are met and respective performance is improved upon. We must implement the integrated sustainable plan from concept to commissioning and afterwards. Also, based on the legacy of the airport we should manage the whole operations and maintenance in a sustainable manner. If we see the current trend, we can find all the above points being considered by the airports development and management authorities. We at Conserve strongly believe that, Sustainability and Profitability go hand in hand. If we see the movement of sustainability and building green, the complete attention is given to the performance which further leads to efficiency. This is contrary to the popular belief that, the sustainability is more of a liability or burden without any true value addition. Conserve has undertaken projects with this mindset and most of our work revolves around how to improve the performance of a built environment within the budgeted cost. Most of our solutions have a marginal or no cost increase, thereby ensuring a lower payback period resulting in profitability. We have worked on projects both in India and Abroad for reducing the dependence on resources and increase in efficiency, hence, profitability. 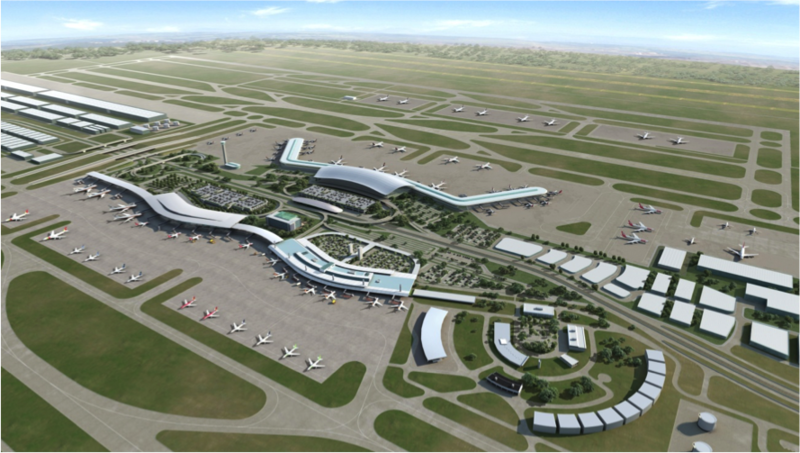 During the development of the Chhatrapati Shivaji International Airport, Mumbai we ensured that all the mandatory compliances are met at the planning and design stage itself to translate the sustainable plan seamlessly into a tangible output. This has also made the LEED India Gold certification an easy task, as we have already taken the building performance to a higher level. A green certification is a good measure of performance for any built-environment including airports, factories, warehouses, commercial centers, residential building etc. Another notable project of ours is the Hamad International Airport, Qatar, where we have done a sustainability audit to understand the performance of the airport utilities section and provided solutions to improve upon the key performance indicators through cost effective but highly efficient measures.